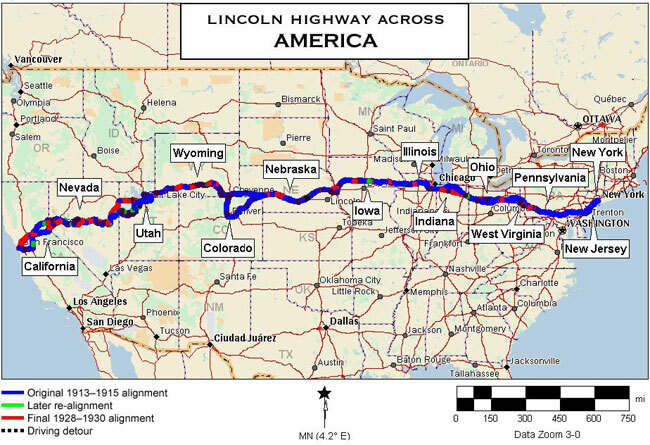 RETRO KIMMER'S BLOG: THE US LINCOLN HIGHWAY IS THE ULTIMATE ROAD TRIP! In 1912, Carl Fisher, the entrepreneur who had founded the Indianapolis Motor Speedway, thought America needed a coast-to-coast highway. 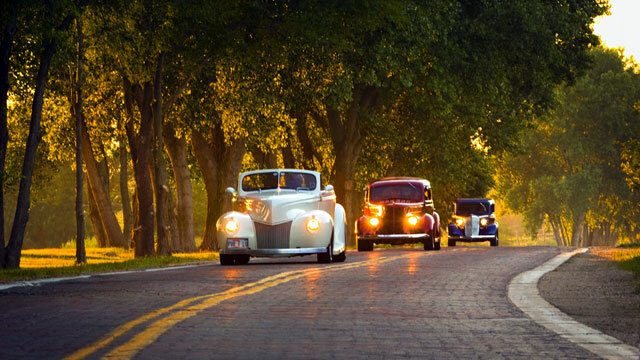 When the project appeared stalled, Henry Joy, the president of Packard Motor Car Co., suggested naming the road after Abraham Lincoln, a move that reignited support for the project. The 1913 dedication of the highway made it the first national memorial to Abraham Lincoln. It was built during an era of highways that had names only; the numbered system replaced this in 1926 and the Lincoln Highway, over the protests of its founders, was divided among numerous numbered routes. Originally running 3,389 miles, the route was shortened over the ensuing 9 years to 3,142 miles -- its length today. For a wealth of information on the highway and play-by-play driving instructions see the Lincoln Highway Association’s website.